"You've found the perfect person. Let me help you with the perfect ring." You've found the perfect person, now let me help you with the perfect ring. All rings are handmade by me, to your design. 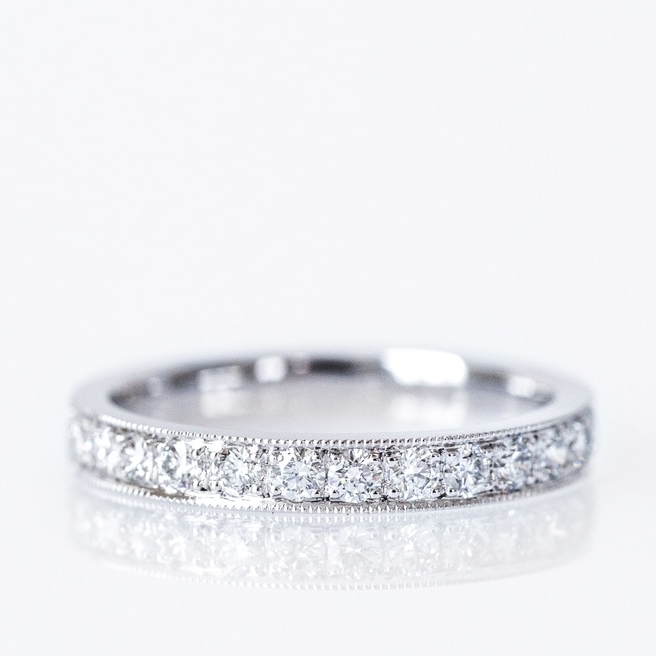 Offering men's and women's wedding bands, handmade to your design, and to perfectly complement the engagement ring. Symbolising never ending love, and given on the occasion of a significant anniversary. Choosing a jeweller you can trust is possibly the most important decision you need to make when it comes to selecting your engagement and wedding rings. It is often the case that when you walk into a jewellery store, you are working with a salesperson. I offer the chance to work one-on-one with an experienced jeweller. I provide expert advice and take the time to explain everything I can about the properties of diamonds and precious metals, leaving you with a clear understanding and complete confidence regarding your purchase. I use only the highest quality materials to make your ring by hand, using superior traditional forging methods (no use of computer-aided design or casting). I have no pre-made engagement or wedding rings - each ring is designed by you, for you. Whether you have a design in mind, or have no idea where to start, I’ll guide you every step of the way. Are you worried they won't like it, or it won't fit? If you are buying an engagement ring for a surprise proposal and they don't like the design - I will remodel it at no extra cost, using the same materials. Also, if it doesn't fit perfectly, I'll happily resize it for free. All new rings come with a gift certificate entitling the bearer to a once-off clean, polish, rhodium plating and setting integrity check, all absolutely free of charge. After that, you're entitled to cleaning, polishing and rhodium plating at 50% off my standard rate, for life. To get started on making something special, book an appointment to meet me at my Lonsdale St, Braddon studio. Alternatively, you can email me through the form below, or call me on 0402913503.